The Mystery Jets, in their (as it would turn out) ironically-titled ‘Greatest Hits‘, knew the score when they were penning their great break-up song. ABC’s album is a masterclass in heaven-sent melodies and hit singles, but stuck in the 80s with slightly more style than substance and a Trevor Horn production to boot. 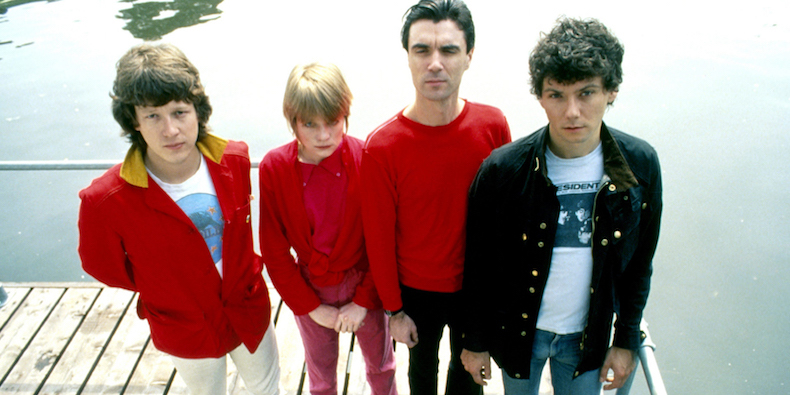 Talking Heads‘ 4th album endures, remains in light even, to this day. Arty, smarty, punky and funky, Remain In Light benefits from the combined talents of the four ‘Heads, Brian Eno on sonic architectural duties, Bowie foil Adrian Belew on weird ‘n wonky guitar textures and R’n B belter Nona Hendryx on occasional backing vocals. It’s an astonishing album which, as the cliche goes, sounds as relevant and fresh today as it did in October 1980. Side 1 (Pffffft. Everyone’s a hipster nowadays) begins with the knockout blow of Born Under Punches, a track that starts as if you carelessly dropped the needle near enough, but not quite at the start. Not for Talking Heads a gentle warm-up to ease into the flow. From the off, Frantz and Weymouth, the symbiotic, married rhythm section drive the track with polyrhythms and a body-poppin’ bassline that George Clinton might’ve strived his whole life to perfect. ‘Take a look at these hands!‘ barks David Byrne, before his own call-and-response vocals allow the chorus to ebb and flow. The music though is relentless throughout, a fantastic opener that sets the scene for what follows. And what follows is more of the same. Crosseyed And Painless maybe even betters the opener. Short, sharp, barking verses and crooned choruses, with the band whippersnap tight and taut. Eno’s contribution is undeniable. The band are on fire, but the extras he adds lifts the whole thing into the stratosphere. 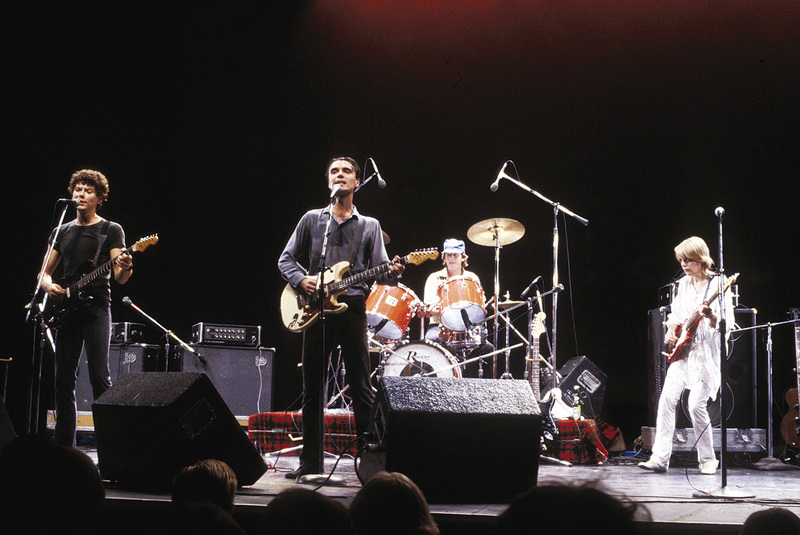 Whooshes and effects, possibly heavily-treated guitar, possibly cutting edge keyboard technology are liberally splashed across the top adding colour to the Talking Heads’ stark noo wave punkoid funk. ‘I’m stiiiiiill waiting!‘ points out David Byrne, as he’s doubletracked with himself into oblivion. Even more incredibly is the 3rd track, side 1 closer The Great Curve. Without ever dropping a beat, Frantz and Weymouth’s incessant funk continues. Thers’s space here for both Nona Hendryx to do one of her skyscraping hollers in the chorus? The verse? The bridge? Who knows?!? and Adrian Belew to get in on the act with a metallic squall of lead guitar that coulda come straight from a Bowie ‘Lodgers‘ session. It’s just as well you’re forced to get up and turn the record over at this point, as to this day, I still need to catch my breath when the side closes. Side 2, without being glib, is more of the same; one chord grooves, polyrhythmic percussion, effect pedal-heavy guitar and Eno’s golden ambient touch. Houses In Motion, the flop second and final single from the album is the perfect juxtaposition of Sly Stone’s pitter pattering skeletal funk and Talking Heads’ own Slippery People, still 3 years from release, but surely conceived in this very moment? Seen And Not Seen is an atmospheric spoken word groove, with a backing track that Grace Jones might’ve utilised to her advantage. Second last track Listening Wind is very Can. 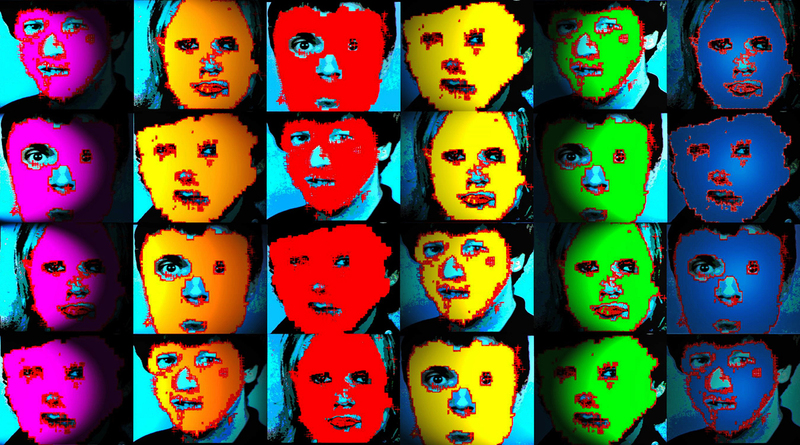 Or maybe Can is very Talking Heads. Chanting vocals, meandering, textured music….. there’s lots going on here. It’s great late-night headphone music. You should try it. Pour yourself a drink of whatever, maybe supplement it with an extra something of your choice. Then close your eyes and see where it takes you, but remember to get up before final track The Overload kicks in. If the previous track is very Can, then The Overload is very, Very, VERY Bowie. More chanting vocals and more ambient textures, it closes the album with a sense of impending doom. Scary Monsters indeed. Perhaps they should’ve left it off the album. It still scares me half to death whenever I forget to lift the needle before it starts. The big track on the album is Once In A Lifetime, the number 14-with-a-bullet hit single. It’s omnipresent and, I’d wager, so ingrained in the fabric of most of the readership on here that you can hear it just now as you read. You can call it up from the virtual iPod in your brain and it’ll play for you from start to finish, with no need for you to go and find the actual track. The chorus is playing just now, I bet. Amazing that, isn’t it? But have you ever stopped to truly listen to it? It’s an incredible piece of music. How do you even go about writing a song like that? Did it come from the band riffing on the light ‘n airy grooves of Fela Kuti, whose ‘on the 1’ influenced James Brown? Once In A Lifetime starts ‘on the 1’, but as Eno has since said, each member of the band had a different ‘1’ to follow. That’s what makes the track sound so different. There’s that brilliant opening bass whoomph and bam! 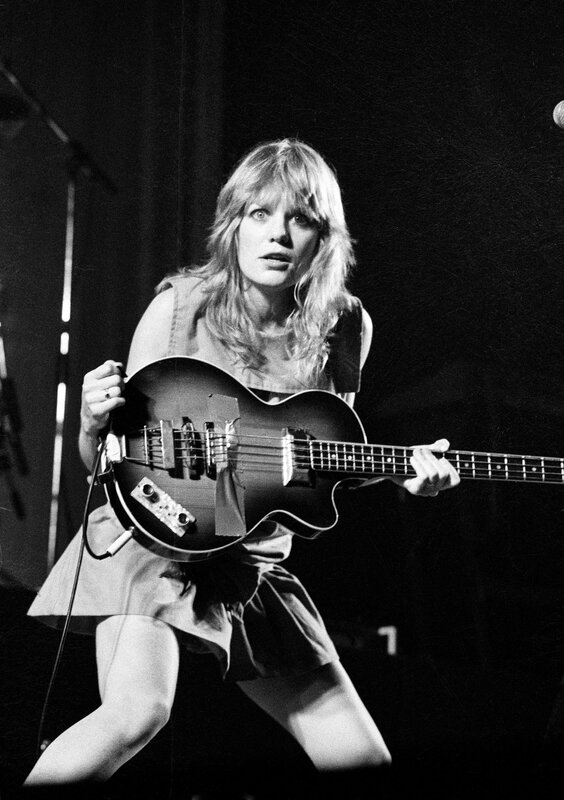 we’re on the one and away with it…..
Did Tina Weymouth come to the session with a killer bassline looking for a song? Did Jerry Harrison, swapping guitar for synth, say, “Hey! I’ve got this little synth riff that I kinda stole from the Velvets’ What Goes On – let’s build a song around it!” Did producer Eno pioneer his Oblique Strategies on the track, the four Talking Heads plus guests individually recording overdubs, unaware of what their fellow band mates had played? The answer really is that the song is (even) greater than the sum of its parts. Want more? Here’s the extended version of Once In A Lifetime. Random fact. Bassheads‘ 90s rave anthem Is There Anybody Out There? samples the wee tingaling bleeping and blooping keyboard track that weaves it’s way throughout Once InA Lifetime. But you knew that already. As if to underline that Fela Kuti reference, sounding like a manic Moroccan market in the height of summer, here’s Fela’s Riff, an African-influenced unfinished outtake from the album. 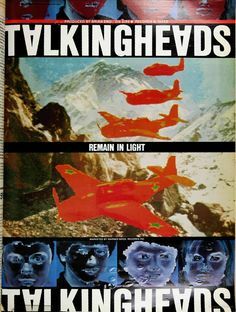 If you’ve never heard Remain In Light, I suggest you rectify this forthwith. You can thank me later. A once a week online magazine for everyone who knows that music from the olden days was in fact music from the golden days. Outdated music for outdated people and proud. Don't follow me, I'm lost too. Friens 'n neebours 'n chapman billies, ane an a' support the Killie. Fur the Honest Men lie deid 'n still. (One for Colin Neverwill).